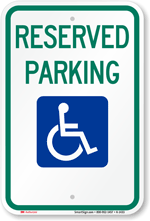 What are the fines and actual language for a valid Disabled Parking Sign? 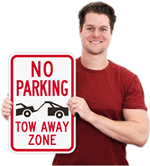 How large and what is the information needed for a Tow Away Sign? What is the layout and what is the proper spacing for a Fire Lane No Parking Sign? Which is Compliant for Your State? Click on your state to learn more about your own rules.